Easter is just a few days away, and I hope you've enjoyed the decor we've come up for our homes this year. 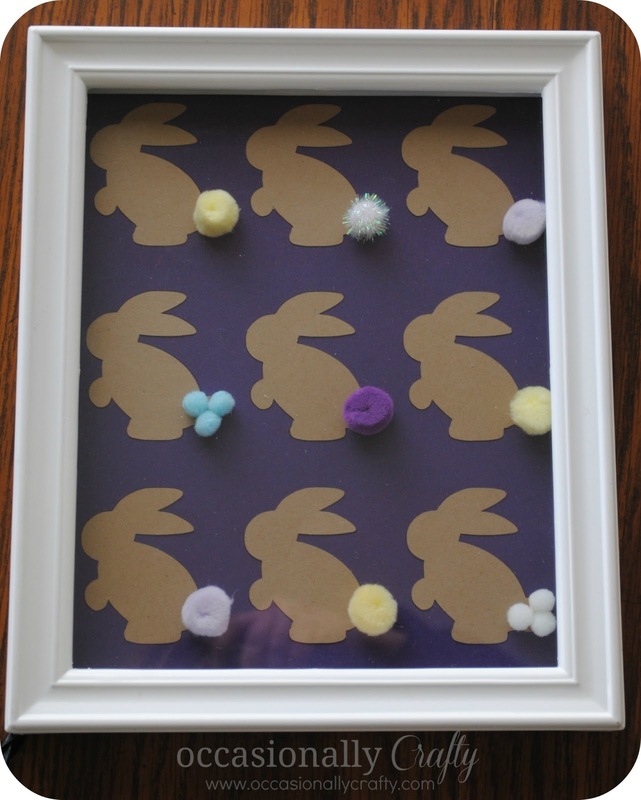 The last thing to add is the latest in my interchangeable specimen art-- Easter style. I used my Silhouette to cut out some bunnies and even draw an outline on my purple paper of where the bunnies needed to go. That took away a lot of measuring and guesswork once it came time to put the bunnies on the paper. Add some fluffy tails and you've got yourself a cute display!